Over the past 30 years, a combination of diverse professional experiences and extensive training have made me the therapist I am today. In addition to a Master’s Degree in Social Work, I have participated in continuing education courses and seminars to ensure that I am incorporating the latest in psychoanalysis into treatment plans. I joined the faculty of the Psychoanalytic Psychotherapy Study Center (PPSC), a post-graduate training institute, and served as the Executive Director for 10 years. During my tenure, I taught and supervised candidates, developed an internship program for graduate students, and worked to establish guidelines for training and licensure in New York. My expertise is broad and far-reaching. Of late, more attention has been focused on the well-being of anxious, depressed and suicidal students on college campuses. I have worked with many students trying to adjust to life away from home. The social and academic pressures of college can bring about the emergence of major mental illness and addiction that needs to be addressed with the proper treatment. In addition to individual sessions, I also offer group treatment to college students and young adults. I have extensive experience in counseling women of all ages who suffer from eating disorders. Today, there are a variety of treatments available; I’m able to help navigate through the options and figure out which will work best on a case by case basis. As baby boomers are aging, they are learning that menopause no longer spells the end. Life after 65 continues to be an important, yet often overlooked part of adult development. I’m able to offer support in either individual or group therapy sessions for women navigating midlife and beyond. I am affiliated with Here to Help Military and Families, a Long Island group that offers free counseling to returning veterans and their families. I offer a holistic approach to treatment; for both veterans returning from combat, suffering from the effects of trauma and PTSD, as well as their families, who are struggling to understand how difficult reentry into civilian life can be. What can you gain from therapy? Over the past 30 years, I’ve learned a lot about relationships and the value in sharing our thoughts and feelings with friends and partners. Knowing we are being listened to, valued and understood is crucial to emotional wellbeing. Therapy is a process. Though there is often no simple, quick solution, it provides a safe space to explore emotions, thoughts, and actions in an in-depth and meaningful way, to eventually bring about change. Through continued treatment, therapy can be an incredibly powerful tool in helping to significantly improve your quality of life and outlook. Call me today at 212-413-7088 for a free 15 minute phone consultation. 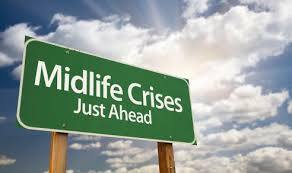 What is considered midlife for women these days? Medicine says it’s the period of time when our bodies prepare and enter peri-menopause and then menopause. During this complex phase of female adult development our perceptions of ourselves change. We may no longer feel young, we may feel a sense of loss about leaving our first 45 years behind, which includes changes in our physical appearance, our energy levels, our health and our connections to a more youthful robust part our lives. You may be thinking speak for yourself: in our youth oriented culture we often feel pressure to keep up our youthful appearances. At the same time, we try hard to keep up our health and physical stamina. Many women report the beginnings of chronic health problems including skin rashes, insomnia, diabetes, chronic fatigue, and heart disease. These conditions can be debilitating emotionally and physically during these middle years. They signal to us that we can’t take our health for granted, we are not invincible as we thought we were at 21 or 39. Before you get completely depressed or stop reading, please keep in mind our resiliency, our hope in the face of adversity and our strength as women in the middle of life. We benefit from the knowledge we have accumulated, we have better coping skills, support systems including friends, family and colleagues. Recently i read that spending a weekend with an old friend can be rejuvenating. When we don’t have an adequate support system, we seek out connections to others by affiliating with schools, religious organizations, alumni groups, colleagues, book groups, and support groups. While we think about what we have left behind, what is now in the past, we contemplate a richer life in the future. We may be busy with what life puts in our path like elderly parents with health problems or adolescent or adult children with special needs. This can cause a hurricane of emotion, loss of our parents and childhoods, disappointment in not having what we had hoped for, which is why we are called the ‘sandwich generation.’ Putting feelings, thoughts and situations in perspective is important to our well being. Knowing a crisis will pass, a situation with our families is temporary helps us to endure. Sometimes we need professional help to address the storm that we find ourselves facing. 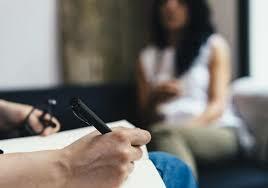 Individual therapy and group therapy can be very helpful to address conflicts that reoccur from the past, difficulty coping with relationships and work, and worries about the future. sometimes we need to think out loud in presence of another person who is trained to listen and help us understand our needs. Group support and connection can be a very powerful tool during this journey as well. 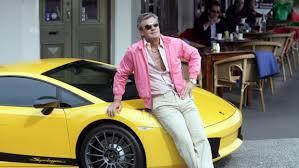 In contemporary life, the age range of midlife has changed. In the not to distant past, 35-40 was the start of midlife and by 60, we were considered old and life often ended by 72. Today, with many women in better health, physically and emotionally, and cognitively, they are working longer in the home and in their careers. We could argue that midlife ranges roughly from 50 to 75. What do you think? Do you Feel Like You’re in Your Middle Years? As we age, and move into our late 60’s and 70’s, many women are thinking about their futures. Do they want to retire, do they have the finances for it, where do they want to move, what will their health be like in the future, do they want to live near their adult Children and grandchildren? As these questions come into focus and occupy more of your time and thoughts, you are probably moving out of the middle years and thinking about your next chapter. If you are entering midlife and having challenges or anxiety, call me today and let’s schedule an appointment. I have many years of experience counseling other women about life changes and midlife. I look forward to hearing from you. Are we in need of Psychotherapy for Children? Some children do not hit their milestones at the expected timeline and pace. At certain points and with certain delays, there may be cause for concern. If your child is delayed in their communication skills, ability to perspective take, and ability to connect with people around them, then child therapy may be a helpful resource for them. In some cases, the child may have a serious psychological concern such as Autism Spectrum Disorder. In other cases, they may just need some help learning how to communicate. 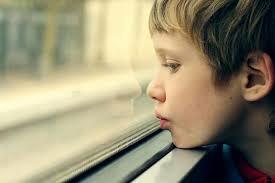 Other times, a child may be struggling with a learning disorder, a deficit in attention, or hyperactivity. In those cases, rehabilitative services can be helpful to address the various skill deficits. However, therapy can also be helpful for assisting the child in understanding their abilities, to identify areas of strength, to function as well as they can, and to address the emotional repercussions of having such a diagnosis. The reality is that emotions, especially intense ones, can be difficult for anyone to manage. Adults have had any years to learn about their emotions and learn techniques for dealing with them. Children have had significantly less time to know how to manage their emotions. Some children also struggle more than others with their emotions. When a child struggles with their emotions it may appear in various behaviors. At certain points, it makes sense to take children to child therapy for help in this area. When children struggle with anxiety, depression, or anger that results in recurring tantrums, then child’s psychotherapy may be even more crucial. In these cases, the children’s therapist can help a child not only learn about their emotions but also develop the skills needed to manage anxiety, depression, and anger. In some cases, the child may need help identifying the underlying cause of these symptoms so that it can be more fully resolved. If left unaddressed these problems could progress to adulthood. In some cases, children can experience unexpected and difficult circumstances. This could be the divorce of their parents, the loss of a parent, or some other trauma event. When children experience such situations, their young minds may be unable to process what has occurred. They may act out in various ways because they are struggling with their memories, thoughts, and emotions. In these cases, child psychotherapy can be crucial to helping them to recover and return to more typical functioning. A child therapist is specially trained to help children work through difficult situations and trauma events. This must be approached in ways that accommodate for their level of cognitive development and language abilities. Oftentimes, play therapy can be used. Sometimes within the psychoanalytic approach, techniques such as sand tray therapy can be used to allow children to process their reactions. When your child is struggling and their needs call for specialized help, consider seeking psychotherapy for children’s issues. You will want a child therapist who has the necessary training and experience to help. 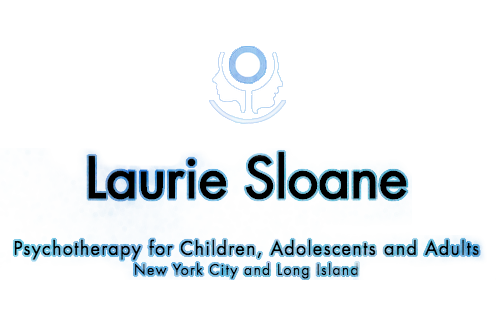 Contact Licensed Clinical Social Worker Laurie Sloan at 212-413-7088 to schedule an appointment for children’s counseling. With over 30 years of experience in the field, Laurie can assist any child in dealing with their difficult memories, thoughts, and emotions, so they can live a healthier life. In the face of some life circumstances, some individuals may struggle to adjust. Such circumstance can include many different types of life changes. It could be moving to a new setting, dealing with a new role, or even experiencing a break up. People may notice reactions in themselves as they struggle to adjust. However, those reactions are not necessarily trauma related or diagnosable as PTSD. A major difference is the circumstances, which in this case are not necessarily terrifying and certainly not life threatening. The reaction is also different. Difficulty with adjustment may result in some anxiety and depression, but not necessarily the same traumatic responses that might be expected to occur following a more serious event. Nonetheless, it can be valuable to seek therapeutic support. Other times, people do face more significant events that lead to more troubling symptoms. If a life-threatening or particularly terrifying event occurs, followed by severe symptoms, then a diagnosis of acute stress disorder might be considered. This diagnosis can be made between 1 week and 30 days after the event. After 30 days, a diagnosis of post-traumatic stress disorder should be considered. The symptoms that characterize acute stress disorder include intrusive thoughts or memories about the event. This might occur through flashbacks. Such intrusive thoughts and memories can also occur during sleep through nightmares. People may also find themselves becoming hypervigilant—always aware of their environment and the challenges they may face. They may want to avoid certain situations that seem to remind them of the trauma event they occurred. In time, this can be reinforced such that it becomes increasingly difficult for the person to engage in their general daily activities. If treated early, acute stress disorder may be resolved and then it will not develop into PTSD. 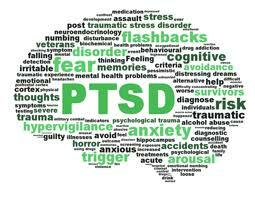 Other times, PTSD does develop as a result of the circumstances faced, the symptoms, and their timeframe. Notably, PTSD symptoms can also emerge some time after the event, in what is called delayed onset. PTSD can be really difficult to manage. It can affect a person’s daily functioning, their relationships with others, and even their ability to work. Most people who develop PTSD need the support of a therapist to work through the trauma events that are causing this severe reaction. With counseling, they can process what happened, learn to cope with it, and improve their overall well-being. However, it can be a difficult process, so most people would want a therapist who they feel very comfortable with. Trauma experiences and trauma reactions can be significant problems that alter a person’s mental health and ability to function. If you need help coping with a trauma event, consider seeking the support of a counselor. Contact Licensed Clinical Social Worker Laurie Sloan today at 212-413-7088 to schedule an appointment for counseling. Laurie can help you heal the pain of your past and improve your life. Do I need a psychotherapist for relationship issues? There is some outdated notion that if a relationship is meant to be, it will easily fall into place. That is not entirely true. Of course, too much struggle is a sign of a problematic relationship that should perhaps not be maintained. However, healthy relationships do require a balance of ease alongside purposeful work intended to build, strengthen, and maintain the relationship over time. Oftentimes, couples elect to use relationship counseling to support the longevity of their relationship. One good time to attend relationship counseling is before you commit into marriage. Shifting from dating to fiancés to a married couple can be a big change. As your relationship status changes and your life shifts accordingly, it can be helpful to talk over all the details in pre-marital counseling. A relationship counselor can assist an engaged couple in establishing healthy communication patterns, figuring out what their married life will look like, and equip them to deal with anything unexpected that may occur during their lives together. This is a good investment of time to plan for a marriage not just a wedding. Most couples counselors can provide pre-marital counseling if you just request it. Often couples seek out counseling when they are facing some distress in their relationship that may seem to threaten the health or longevity of it. There are many different circumstances that can cause distress in a couples’ relationship. Each couple may experience their own compilation of challenges. Some couples find they grow apart over time and need assistance growing back together. Some couples face unique difficulties such as a miscarriage or the loss of a child. Others may face difficulties in communication and emotional withdrawal from one another. Still others may face trust issues they need to resolve. 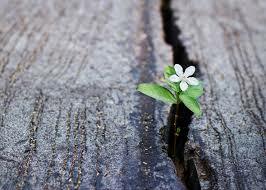 It can sometimes be difficult to know how to repair such matters without outside help. Even still, the choice to attend couples counseling does not necessarily require a big change in the relationship or a significant problem. Many couples choose to attend relationship counseling simply to strengthen their relationship and perhaps to avoid any major relationship problems in the future. Attending relationship counseling can give a couple the chance to discuss their similarities and differences, their communication styles, and the way those factors could affect their interactions with one another. Couples can learn how to communicate most effectively with each other, how to have healthy disagreements, and how to work through difficult times together rather than drawing apart. Relationships are not always easy and sometimes a couple needs the assistance of another perspective to help them build a solid foundation, strengthen it over time, and work through any challenges they may face. If you want to pursue relationship counseling, consider contacting Licensed Clinical Social Worker Laurie Sloan at 212-413-7088 today, to schedule an appointment. With over 30 years of experience in the field, Laurie has helped many couples strengthen their bonds. She can help you too. 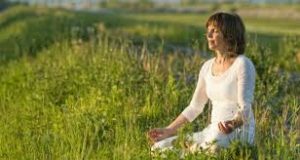 Menopause is primarily considered a physical change brought about by a shift in hormones. Production of a key hormone, Estrogen, declines. This results in menstrual changes. Most women will experience irregular menstruation for some time, followed eventually by menstruation ceasing all together. Simultaneously, many women experience hot flashes (a sudden rise in body temperature), difficulty sleeping such as insomnia, and weight gain. These physical changes can be challenging and difficult to adjust to. Many women seek medical intervention to alleviate these physical symptoms. Perhaps less talked about are the mental changes that also tend to occur during menopause. Some of these are the result of the hormonal fluctuations which seem to affect a woman’s general physical and mental functioning. The poor sleep associated with menopause can also contribute to these changes. The mental changes can include decreased abilities to concentrate and focus. Along with this, many women report declines in memory, which may themselves be a result of poorer concentration. Women, especially high-achieving women and those with busy schedules, may find these changes distressing. Equally distressing for many women are the emotional changes that occur during menopause. Many women find themselves simply feeling more emotional than they typically would be and also find that they are more easily upset. Some women even experience significant levels of anxiety and depression. 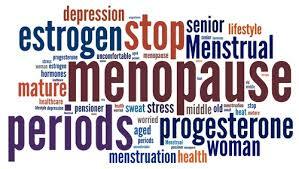 Again, the hormonal changes of menopause are the primary culprit and cause of the emotional changes. Additionally, some of those emotional reactions are also a product of the repercussions of menopause. 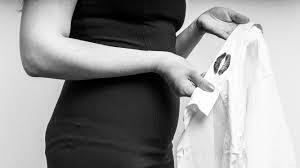 For many women this is a clear sign of their aging and it means they are no longer able to have children. Along with these main three areas of change, many women also notice a downshift in sexual drive. This is a result of the hormonal, physical, and emotional changes of menopause. However, this too can affect women emotionally, as it may affect their relationship with their spouse or romantic partner. More broadly, women may experience some sense of social change, not just because of menopause and its effects on relationships but also because this time of life may mean other changes are happening too. For example, this is often a time when adult children are leaving home or moving into their own lives. 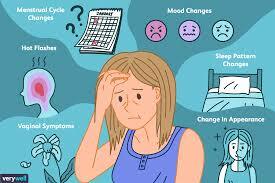 As you can see, menopause brings with it many changes that can sometimes be difficult to process. For this reason, many women seek the support of a therapist. Counseling is not always just for mental health problems. It can be helpful to anyone who is adjusting to some new situation or status in life. A trained and skilled counselor can help a woman adjust to the physical, mental, emotional, and social changes that occur during menopause. In some cases, couples counseling may also be helpful during this time. If you are considering counseling for menopause, contact Licensed Clinical Social Worker Laurie Sloan at 212-413-7088 to schedule an appointment. With over 30 years of experience in the field, Laurie specializes in working with women of all ages to help them better cope with life changes and challenges. 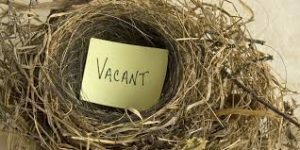 One big change that many people experience during their midlife years is the prospect of an empty nest. After years of raising children, and dealing with all the many details that entails, an empty nest might seem like something to look forward to. However, once children start leaving the home for college and work, many parents find themselves feeling emotions they did not anticipate. It can be sad to say goodbye and a wake-up call that along with their children, they are themselves facing a big life change. Midlife also brings with it some major role changes. If you have been a parent, you certainly do not lose that status. However, being a parent to college-aged or adult children may appear differently than it did previously. Further, your children might start having children of their own, which could shift your role from parent to grandparent. While your role changes within the family unit, you may also notice changes in your relationship with your spouse. For years, you may have been busy co-parenting together and now you may need to rediscover each other and rebuild your relationship as a couple. Changes at home may be met with many changes at work as well. You may be more advanced in your workplace, which could allow for promotions and new opportunities. You might be taking on leadership roles that offer more responsibility. Alternatively, you may decide you have grown tired of your career or workplace and look towards making a change. At some point, you will likely decide to retire from work, which may allow more time to rediscover or find new hobbies. If your financial status is strong you may be able to spend time volunteering or engaged in charity work. If it is not, you may face stress. Going into what many call the golden years may be both an exciting and daunting prospect. You may be feeling good about all you have accomplished at work, at home, and in your relationships. If so, you may be excited to spend some quality years in retirement. If you look back on your life and find yourself wishing you could have done more, then the golden years may not seem so golden. Many people find themselves wanting to talk to a counselor for support as they reach the end of their lives. The years of midlife and beyond can be surprisingly difficult. Most people experience many changes in their personal and work life. It can be helpful to attend therapy to process through all these changes so that those golden years can be a little more golden. If you are considering seeking help from a psychotherapist for issues related to aging, contact Licensed Clinical Social Worker Laurie Sloan at 212-413-7088 to schedule an appointment. With over 30 years of experience in the field, Laurie can help. When you think about the repercussions of infidelity, whether it may be a one-night stand or a long-term affair, you might most often think about the effects it would have on the betrayed partner. Indeed, that is the person in the union that most people would feel most sympathetic towards. Similarly, the betrayed partner will have many reactions including feeling deceived or lied to and a sense that trust was betrayed. These reactions could also cause anxiety and sadness. In some cases, the betrayed may even feel a sense of low self-esteem or low self-worth in the wake of an affair. This partner may find counseling helpful to help them cope with what happened and the resulting reactions. Although most people might initially feel most sympathetic towards the betrayed partner in a union, the unfaithful partner (that is the one who committed infidelity) might also be dealing with many different reactions. They may be feeling guilt or shame and they may experience their own self-deprecating thoughts regarding their actions. Depending on the prospects of resolution, they may also be depressed. Further, the unfaithful partner may have already been dealing with something that led to their affair. It could have been that they were feeling unfulfilled in the relationship or alienated in some way. This is not to excuse their behavior; however, it is another component that may need to be addressed to resolve the situation. Therapy can help with both the pre-existing problems and the resulting reactions. 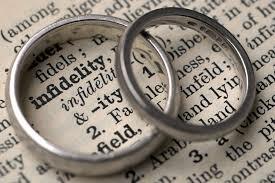 Of course, not only each partner will be affected by infidelity, but the relationship as a whole will also be altered. It is for this reason that many couples find it necessary to seek couples counseling after an affair has occurred. Relationship counseling can help a couple to work through what has happened and help them to identify what steps they want to take next for their relationship. In some cases, partners may want to repair the rupture that occurred and certainly couples counseling can help with that. In other cases, the partners may find it impossible or prefer not to repair the relationship. 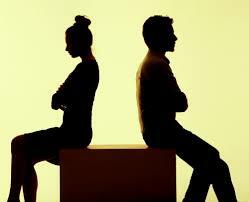 A couples therapist can also assist partners in reaching an amicable end to the relationship. Infidelity can have a big impact on a relationship and the partners involved. It is not easy for couples to repair the rupture, especially without outside help. If your relationship has been affected by infidelity consider working with a counselor. Contact experienced relationship therapist and Licensed Clinical Social Worker Laurie Sloan at 212-413-7088 to schedule an appointment for relationship counseling. An incidence of grief usually starts after learning of some loss. You may have heard that people typically go through certain responses during the grief process. Some research says that people go through stages of denial, anger, bargaining, depression, and acceptance. Denial encapsulates the initial response of wanting to believe the loss is not true. Once the denial dissipates, people may feel anger at the perceived cause of the loss. Bargaining includes attempts to resolve the situation (such as asking a higher power for help). Depression often occurs when the person loses any hope of resolution. Acceptance happens once the person comes to terms with the situation. 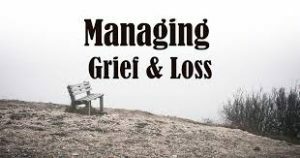 While this sounds like a difficult process, it is also conveyed as simply a series of stages you must get through before the grief will resolve. However, grief is more complex than that and many people do not simply follow these stages. They may cycle back to previous stages or never reach acceptance. Further, grief can contain many more emotions than anger and depression. Depending on the situation, you might experience several complex emotions simultaneously. For example, perhaps you lost someone, but they were suffering and in pain, so you feel sad but relieved. There is a lot that can occur in a “normal” or “typical” grief response. Many people find it helpful to seek support in processing through their grief. It can be nice to have a counselor available who will listen and guide you through the process no matter what stage you are in or what specific reaction you have. Historically, grief was typically given more time and tradition. People were in mourning for an extended period. They wore black so that the world around them knew they were grieving. This was not to mark them in a negative way, instead it honored the gravity of their loss. In today’s culture, there is not a lot of time or tradition given to grieving. Sure, there will be a funeral if you lose a person. But many workplaces expect people to return to work in a matter of weeks. The loss of a pet may garner too little sympathy. If you lose something more ambiguous such as a home to a fire or a career path you had planned, then you might be grieving without others recognizing. In any of these cases, people can experience grief that may be more difficult to resolve. Sometimes there may be intense anxiety (such as being afraid of separation from loved ones for fear they may die too) or intense depression that does not resolve (and instead starts to impair daily functioning. In these situations, counseling can become imperative. Counselors are trained to assist people with complicated bereavement processes. Therapists can also help you to resolve any anxiety and depression that may have grown out of your grief reaction. Grief can be complex and sometimes people require additional support to work through it. If you find that you need support to process your grief and return to the business of living, consider seeking the support of a counselor. Contact Licensed Clinical Social Worker Laurie Sloan today at 212-413-7088 to schedule an appointment, she can help guide you through the bereavement process. You may have heard of eating disorders. They are often depicted on television and movies. Sometimes, eating disorders can present with complex symptoms and can even become dangerous. In fact, there are 3 forms of eating disorder that a person may be affected by. Each has its own symptoms and risks. Anorexia nervosa may appear as the most commonly talked about disorder. This involves restriction of eating. 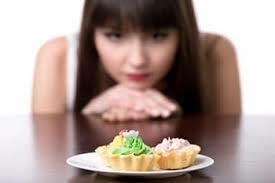 Oftentimes, the person will get to a point where they eat very little or nothing on a regular basis. As a result, they lose weight and their health can be at significant risk. The disorder can result in death. Bulimia nervosa is also well known. This disorder involves engaging in a cycle of binging and purging behaviors. A binge is defined as eating a large amount of food in a very short time period, with a sense of loss of control over one’s eating. A purge is intended to eliminate that food. This is usually done through vomiting, but it can also be done with the use of laxatives and excessive exercise. Another, lesser known eating disorder is called binge eating disorder. This involves engaging in binging behaviors without the purging behaviors. This disorder can cause weight gain. Both bulimia and binge eating disorder can be difficult to manage, with health effects that increase over time. Anorexia nervosa, bulimia nervosa, and binge eating disorder are all serious conditions. They are each incredibly difficult for a person to manage or eliminate on their own. If you suspect you have one of these conditions, it is important to seek therapy from someone experienced in treating eating disorders. Not every unusual eating behavior will fit neatly into one of the above categories. Some symptoms may overlap or not quite measure up. This does not mean that those symptoms are not cause for concern. Instead, they may constitute disordered eating behaviors that would also benefit from treatment. In the category of disordered eating could be behaviors such frequent dieting, excessive exercise, and constant critiques of one’s body. Such behaviors could be the result of poor body image and low self-esteem. If left unchecked, these concerns could grow and become a bigger problem such as a more clearly defined eating disorder. For this reason, it is important to seek therapeutic help right away. If you suspect you have an eating disorder or if you have noticed that you are engaging in disordered eating behaviors, then you will want to seek help. A trained and experienced counselor can assist you in addressing these concerns. 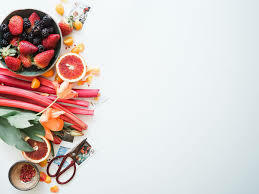 Contact experienced and Licensed Clinical Social Worker Laurie Sloan at 212-413-7088 today to schedule an appointment for treatment of your eating related concerns. Many situations can lead a person to consider divorce. There could have been infidelity or some other breach of trust. 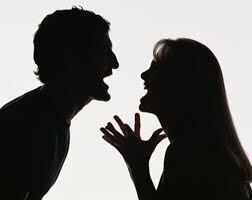 There could be excessive arguments or differences you can no longer work past. There could be alienation or abandonment. One or both partners may have simply changed over time, such that the relationship no longer works. When this becomes a possibility some couples do seek help. When you find yourself considering divorce and you want to repair the relationship, this is a perfect time to seek the support of a couples counselor. Sometimes couples find they simply cannot mend their relationship on their own. However, the help of a trained professional can allow couples to strengthen their communication with one another and give them a safe space to work through their problems. Sometimes even the help of therapy cannot repair a relationship. One or both parties may find themselves at an impasse where they really want to leave. Meeting with a counselor either for individual therapy or for couples therapy can help you make that decision. It may be more helpful to meet with a therapist one-on-one if just one party is in the position of considering divorce. Otherwise, the couple may work with a couples therapist to collectively work towards that decision together. Oftentimes, couples will have already made the decision for divorce before starting couples counseling or they make that decision during the process of relationship therapy. This is perfectly acceptable, the goal of attending relationship counseling is to help the couple get where they need to be, and that may not always be reparation. The good news is relationship counseling can also be used to plan for divorce. 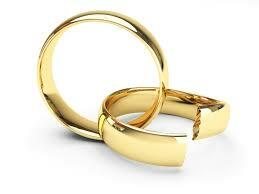 You may wonder why you would want to see a psychotherapist for divorce planning. Well, the truth is that divorce can be a challenging process. This is true even if the partners are separating amicably. There can be many logistics to work through, such as dividing property and debt. The situation may become even more challenging if you share children—you certainly need to have an amicable relationship. Attending counseling during the process of your divorce can be tremendously helpful for partners who need to learn how to co-parent separately. A divorce counselor can assist divorcing partners in learning how to communicate in ways that will be healthy for both them and their children. Counseling can also help to mediate the planning of logistics around co-parenting, such as sharing time with one another. 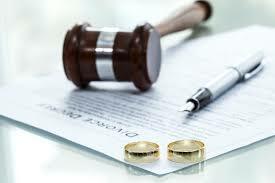 When you are considering divorce or working your way through the process consider receiving counseling with a trained and experienced provider, who can help you to work through the situation. Contact Licensed Clinical Social Worker Laurie Sloan at 212-413-7088 to schedule an appointment for relationship counseling. With over 30 years of experience in the field, Laurie can meet any couple where they are at to work on their relationship or assist them in the process of planning for divorce.